A young wild girl Fanchon ( Mary Pickford ) lives in a forest with her eccentric grandmother who is suspected by the villagers of being a witch. 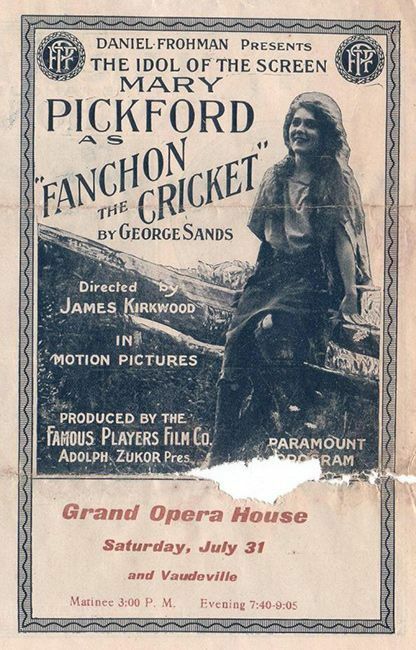 The unkempt Fanchon suffers from her grandmother's sorceress reputation. One day the girl rescues a boy from drowning and they fall in love, but Fanchon won't agree to marry him unless his father asks her. A year later the boy has fallen very ill and it is only the presence of the enchanting Fanchon that helps to restore his health.